Everything Slight Pepper is an award-winning design collective rooted in the Caribbean. 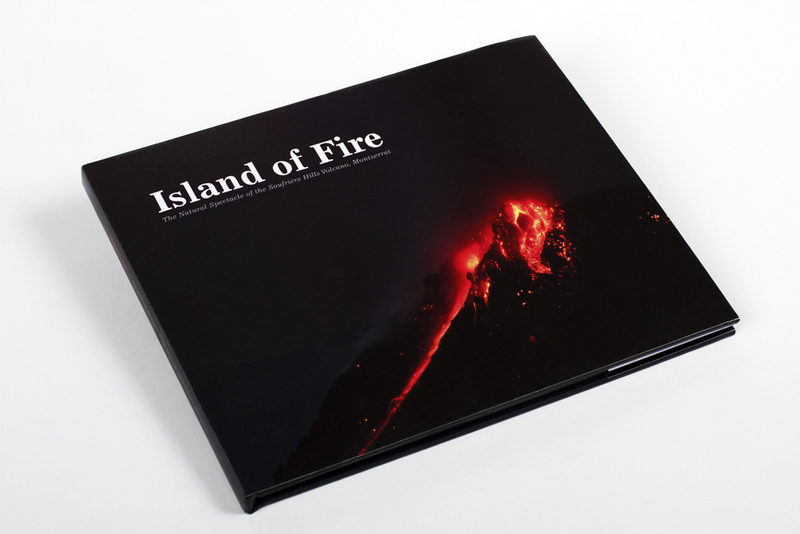 Island of Fire: The Natural Spectacle of the Soufriere Hills Volcano is a premiere coffee table book collection of photographs featuring Montserrat’s vibrant volcano. Beach House Entertainment the force behind Trinidad and Tobago's premiere all-inclusive parties produced this commemorative book in 2011 dubbed "The Experience". The book captures the creativity, attention to detail and atmosphere of their brand of entertainment. 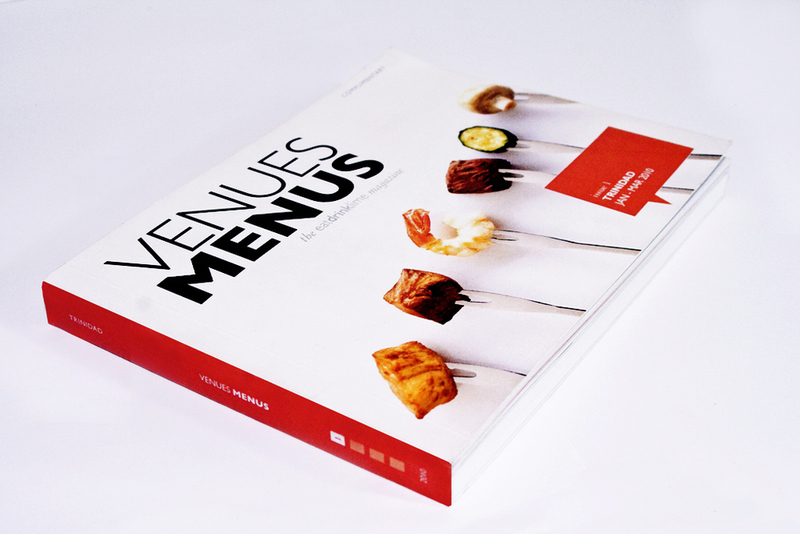 Venues Menus pocketguide is a convenient, portable pocket-size (7"W x 5"H), colour-coded pages sorted by food type, 'insider tips’ provided by the restaurants, written in the voice of the savvy Trinibagonian, full-colour photography and quirky illustrations. Boy Boy and the Magic Drum is a rhythmic children’s storybook by Soca Artiste Machel Montano set in Trinidad & Tobago. T&T provides a backdrop for this warm, engaging tale of recycling and a child’s dream of making music on his magic drum, a steelpan. The Boy Boy and the Magic Drum book was a component of the 2009 series, which included a children’s concert and a composition for the National Panorama 2009 finalists, Phase II Pan Groove. La Belle Helene magazine is the official In-Room Tourist Information Guide and magazine for all hotels in St. Lucia. It is the official publication of the St. Lucia Hotel & Tourism Association (SLHTA). 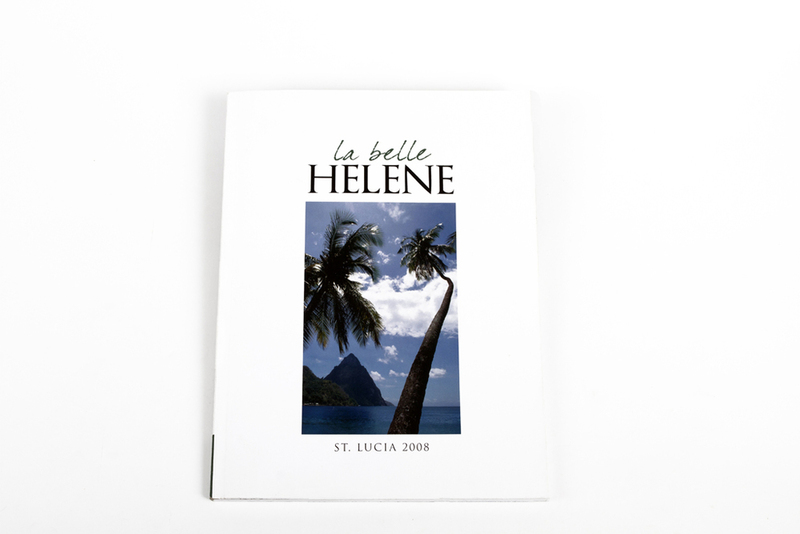 Published annually, La Belle Helene is placed in each of St. Lucia’s 3,500 hotel rooms and is also distributed at trade shows, stocked at local and overseas St. Lucia Tourist Board offices, at the airports and duty free shopping malls. The MACO Sourcebook Trinidad is an annual resource for architects, contractors, interior designers, homeowners and do-it-yourself decorators who are building or renovating; this is the ultimate guide to find what you want in Trinidad & Tobago. MACO destinations is a premier, high gloss magazine geared toward the sophisticated traveler attracted to the Caribbean and Central America. MACO Destinations provides comprehensive insight into the region's most sought after travel destinations. The magazine uncovers the ultimate luxury experiences, taking readers to exclusive boutique hotels, Private islands, exotic festivals, gastronomic delights, breathtaking adventures and more. 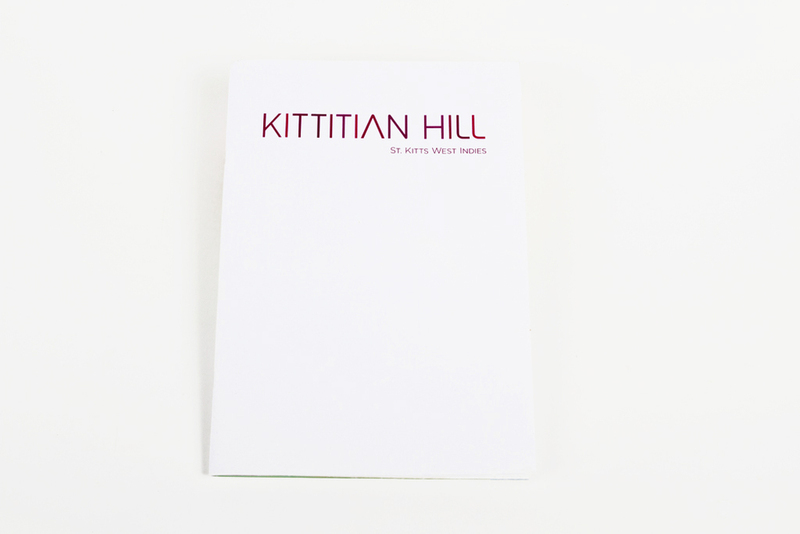 Kittitian Hill is a master planned community set on a stunning hillside site of 160 hectares (400 acres), offering beautifully designed luxury villas, charming cottages and elegant townhouses – plus a full range of resort facilities. Every property offers panoramic views over the Caribbean Sea to the nearby islands of St. Barths, St. Martin, St. Eustatius and Saba. UWI Seismic Research commemorated Earth Day 2010 with an Art and Illustration competition for secondary school students from Forms 1-3. The theme for the competition was "Understanding Earth Systems" - raising awareness on Geo-hazards that affect the Caribbean, by encouraging students to explore the dynamic earth systems of earthquakes, volcanoes and tsunamis. The top 12 winners were used in the SRC 2011 calendar. Trinidad & Tobago Mortgage Finance Company (TTMF) wanted to redesign their internal newsletter into a quarterly magazine that could be used to recap the year's highlights for both staff and the external partners. A new masthead and a grid-based template were created utilizing a 2-font typography style guide, vibrant colours and crisp illustrations to support the issue's theme. The theme is incorporated on the front cover and carried throughout the body of the magazine. The Scorcher Wrap Up is a weekly publication produced by Scorch Ltd. With high quality and eye-catching media content, this hybrid newspaper-magazine is an attempt to engage the more mature readers in the younger popolation who are interested in uncompromising and thought-provoking journalism. Content focuses on the latest buzz-worthy topics in news, sport, and current affairs including political and national issues keeping the familiar and recognizable Scorch approach to editorial: an easy-to-read, relatable voice and modern magazine design. Carnival 'SCORCHED' 2011 is a 120 page commemorative magazine published by entertainment company, Scorch Ltd. which captures the hottest parties, jouvert and "pretty mas" from Trinidad Carnival 2011. Special template features include lyrics from the season's popular songs integrated as pull quotes and a hand glittered masthead. Carnival 'SCORCHED' is a 120 page commemorative magazine published by entertainment company, Scorch Ltd. This full sized publication captures the hottest parties, jouvert and "pretty mas" from Trinidad Carnival 2010. At Everything Slight Pepper (ESP) we enjoy crafting engaging brand stories. Our name reflects our commitment to a core principle – everything is creative. We apply this approach to everything – from idea to execution. Looking up, down, left, right and inward, we create concepts that are in tune with their context…and their audience. Taking a 360-degree stance, we push boundaries in creative thought, design and innovation to effectively communicate stories. We have fun in what we do; Love our work and hope our enthusiasm will be contagious. © Everything Slight Pepper. All Rights Reserved 2016.